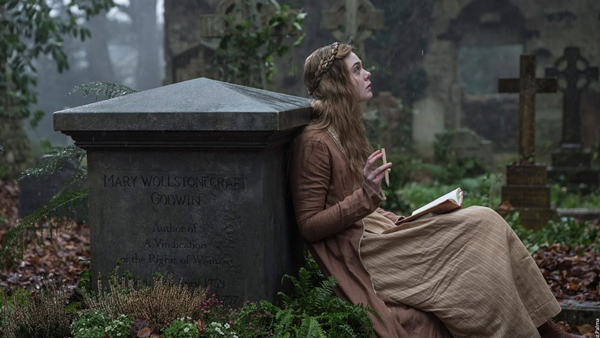 This week's new release: "Mary Shelley," the biopic about the author of "Frankenstein," directed by Haifaa al-Mansour and starring Elle Fanning, Douglas Booth and Ben Hardy. Biographical motion pictures can take many different forms. They can be extensive catalogues of a historical figure’s entire existence, they can focus instead on a single event in their lives. They can be objective or subjective, they can be matter of fact or grandiose. But they all share one responsibility: they have to make a real person, about whom we may only know a legend, feel alive. “Mary Shelley” doesn’t make Mary Wollstonecraft Shelley feel alive. It makes her seem like the subject of a book report, from someone who wasn’t even terribly interested in the material, and whose take on Shelley’s masterpiece, “Frankenstein; Or, The Modern Prometheus,” is reactionary and reductive. It’s a film on the subject of Mary Shelley. It doesn’t make you feel like Mary Shelley, or her contemporaries, are really there with you. And to hear Ken Russell tell it, you should have been there. “Gothic” is a lecherous motion picture, at turns alluring and toxic, where the madness of creativity takes hold and threatens the mind of everyone involved. You can take this story literally, but that may not be advisable. Russell’s version involves these literary titans falling prey to some sort of demon, and as fascinating as it is, it makes no sense whatsoever. But as a metaphor for the wild spirit of imagination, the capacity for great minds to bring out the best and worst in each another, “Gothic” is a surreal little masterwork. It brings these legendary figures to life and lets you hang out with them, and then forces you to hang out with them after they stopped being likable. You get to see every side of these individuals, for better and for worse, and it’s a rich and illuminating experience. In Haifaa al-Mansour's “Mary Shelley,” the title character is depicted as a rebel, a 19th century British version of a Brooklyn teen hipster, who defiantly leaves the cold comfort of her family's sometimes-shaky financial situation to live in drunken sin with the older (and married) Percy Shelley, a hedonistic, atheist Bohemian who openly advocates free love. The film is ultimately disappointing, though, as it never manages to make the audience feel the shocking importance of Mary's societal rebellion. There have been innumerable biopics about important authors and poets, and the better of them present the jarring novelty of their subjects' revolutionary art and ideas. “Mary Shelley” doesn't, in short, put its subject or her ideas in the proper, wider-world context. “Mary Shelley” does, however, accurately depict the ins and outs of living in a co-dependent relationship that is not wholly honest, and only breeds resentment. The romance, for however flawed it may be, is accurate. Even if the film's final scenes undercut a lot of Mary's emotional journey. As such, a wonderful secondary feature to watch with “Mary Shelley” would be Jane Campion's 2009 film “Bright Star,” a contemplative, achingly romantic biopic about Fanny Brawne (Abbie Cornish) who was one of Mary Shelley's contemporaries (“Bright Star” is set in 1818, the same year "Frankenstein" was published). In “Bright Star,” Brawne is referred to in dialogue as flirtatious and wild, but the world of 19th century England is so repressed that modern audiences see her as mildly inquisitive at best; Fanny is demure, communicating her inner passions only through her intense eyes. When the venerable poet John Keats (Ben Whishaw) enters her life, she becomes immediately fascinated by his art, his words, and, of course, his handsome face. They begin to bond over poetry, and Campion allows the audience to feel the immensity and the beauty of their words. The world closes around them, and their bedroom becomes language. 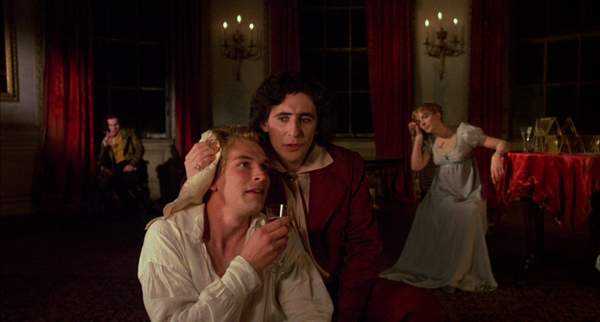 Brawne deeply loved Keats' words, which allows the audience to appreciate his poetry more deeply, but was also seen depicted being an invaluable counterpart to Keats. Keats' effect on the world at large can be felt through the beauty of his relationship with Fanny, but a lesser (male?) filmmaker would have reduced Brawne's role to that of muse; the woman in the great man's shadow. Campion was wise to tell this story through the eyes of Brawne. It's a notable film that highlights how a love story about a Romantic poet can succeed.